Mayo Regional Hospital in Dover-Foxcroft. Mayo Regional Hospital announced that its primary care office in Guilford will close on April 5. 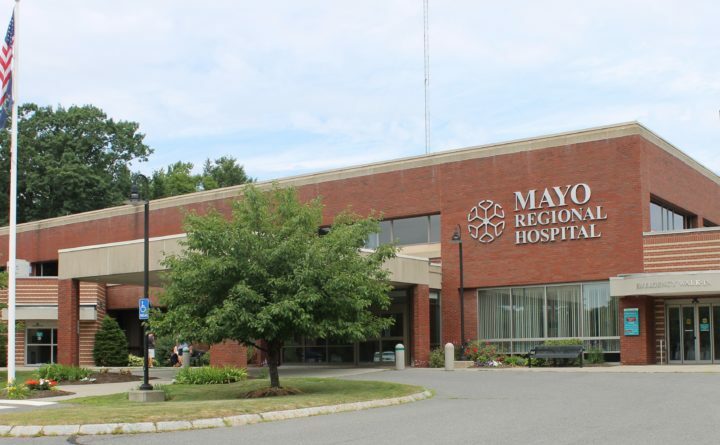 Citing difficulty in attracting and retaining physicians, Mayo Regional Hospital announced the closure of its primary care office in Guilford. The official closure date for Guilford Medical Associates, which is housed via lease from the town at the C.H. Lightbody Medical Center on Park Street, will be April 5. The practice has experienced significant provider turnover in the past year and a half, which officials say led to the closure. Dr. Bernard Perlman was most recently practicing at Guilford Medical Associates for about six months and recently gave his notice. Guilford Town Manager Tom Goulette said the closing of Guilford Medical Associates did not come as a complete surprise to the community. Provider recruitment has become a bigger challenge for the hospital over the past 15 years, as physician and non-physician provider demand increases regionally and nationally. Staff at the clinic are expected to be reassigned to other Mayo Regional Hospital practices across the region. A temporary provider, Dr. Jane Park, will be seeing patients at Guilford Medical Associates until April. All patients are encouraged to make arrangements to transfer their care to another provider as soon as possible. The hospital has openings in its clinics in Milo, Dexter and Corinth and limited availability in Dover-Foxcroft. Northern Light CA Dean and Hometown Health also offer primary care in the area. This was originally published in the Piscataquis Observer.